Adding a NuGet package to a project is simple enough, but integrating them into an existing build strategy can be problematic. 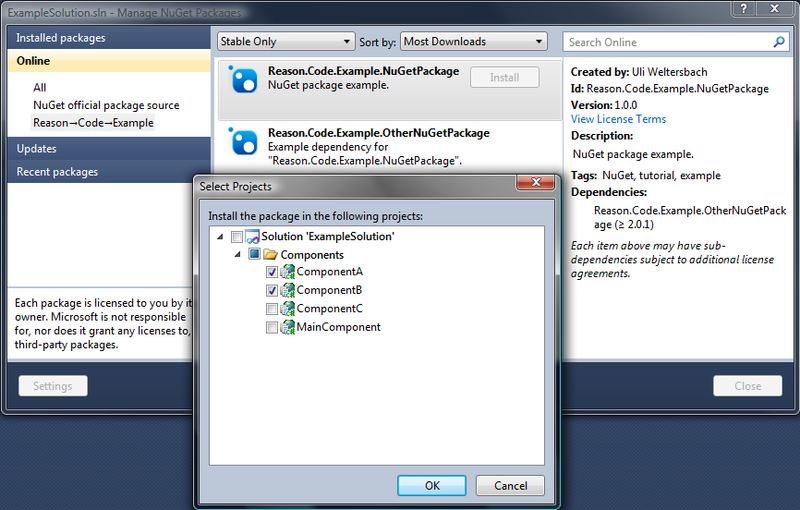 Examples are based on Visual Studio 2010, NuGet 1.7 and NAnt 0.91. 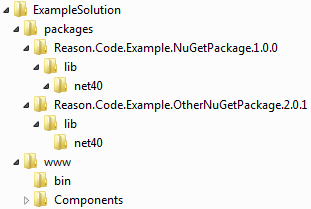 When adding a NuGet package for one or more projects in a solution, the package is initially unpacked to “[solution root]/packages”. 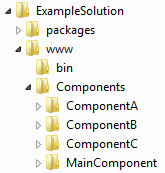 References are then added to the projects in question which point to the specific package’s subfolder. Due to the folder layout of web applications additional processing can be required to move package contents post installation, depending on the prevalent solution architecture in the company. As per usual the referenced binaries are copied to the output folder of each project upon building the solution (unless “copy local” is set to false for the references in question) — but when dealing with a web solution it’s necessary to copy these binaries into the binary folder of the web root (i.e. “[…]/ExampleSolution/www/bin” in the example above), which can be achieved in several ways. Using a post-build event which copies all binaries in the standard project output folder to the solution binary folder is very simple to set up, as shown below. Must be set up separately for every project. Only works if every project has “copy local” enabled for NuGet references. Only requires to be set up once per solution (as opposed to once per project). Works whether “copy local” is enabled or not. 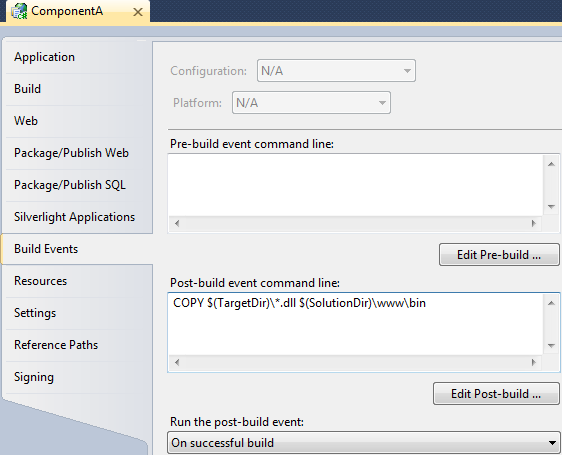 Below is an example of a NAnt build file using the custom task described earlier. The custom code can simply be copied into the “code”-node, or compiled to a separate assembly and placed in the NAnt install root. This entry was posted in C#, NuGet and tagged NAnt, NuGet. Bookmark the permalink.